Oh potato gnocchi!! You don’t bring me the good memory that you should…but it is a memory…and kind of funny too although it didn’t seem to be at the time! 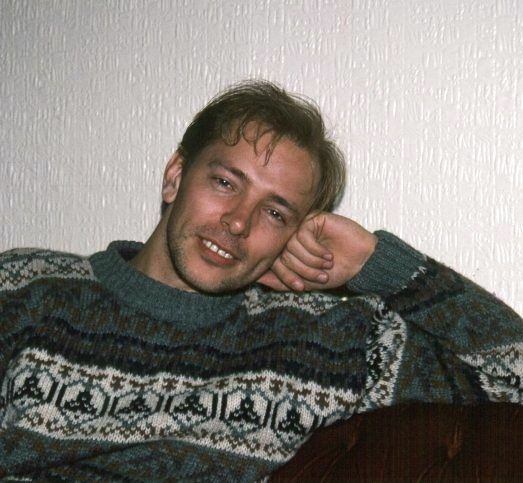 Kevin and I had just gotten married and moved in Mr Daniel’s flat where we just had the essentials…couple of pots and pans, a kettle, two plates and two mugs! It was all we needed. We ate out the first few nights…but then I wanted to show my new husband what I could do. 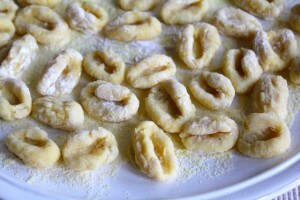 I remembered an Italian friend had made these delicious gnocchi for a group of us once. He was like the maestro on one side ofthe table, with a bunch of girls surrounding him, watching him orchestrate this magnificent dish. It looked so easy…but then so does gymnastics and ice skating. So that was it…that’s what I’d make for our first dinner I thought, as I set about this joyful task! I worked and slaved all day long in the kitchen while my new husband was slaving away at his job. And then the moment of truth! 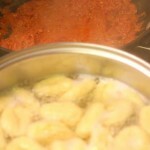 I boiled the gnocchi I’d made, but no amount of sauce could hide the mess underneath! I was in tears! My lovely husband sat down and got ready for his meal and just like the trooper he’s always been and still is, he put that first bite in his mouth and with a smile told me how good it was!! He never did make it to the second bite though because I snatched it from his hand, and took the plate from the table and with a whoosh, and a few sobs, they ended down the toilet! He still does not know what he had said to get that reaction from me and still insists to this day, that they were jolly good gnocchi…but wouldn’t you say that to your new wife? So it’s been 20 yrs since that fateful day!! 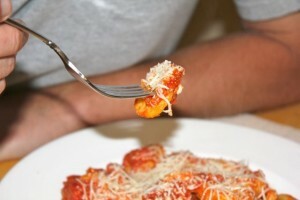 I never made them again and still get the shivers when I hear the word GNOCCHI!! But since I have a blog, and since it’s our 20th Wedding Anniversary today, I think it’s about time I gave it another go, this time with the help of foodnetwork. Preheat oven 425 degrees. 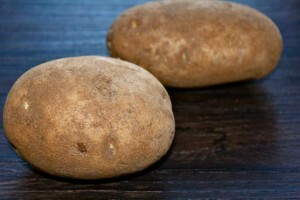 Bake the potatoes for about 45 mins. When cool enough to handle, take off the skins and grate the potatoes in a bowl. You should have about two cups. 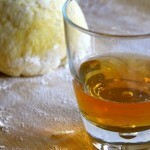 Add the rest of the ingredients and form into a ball. Let rest for half an hour. 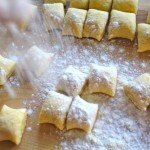 Keeping your work surface and the dough lightly floured, cut the dough into 4 pieces. 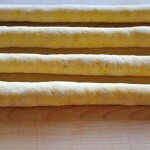 Roll each piece into a rope about 1/2-inch in diameter. Cut into 1/2-inch-long pieces. 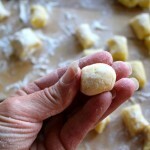 Lightly flour the gnocchi as you cut them. Roll each piece into a ball. 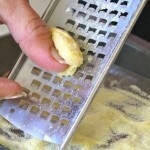 Using the back of a grater, roll each piece down the back. 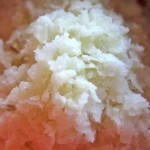 This creates a rough surface for the sauce to cling to. Do this with each piece. 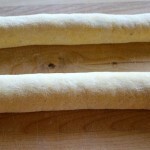 Place on a well floured (or well sprinkled with semolina). At this point you can freeze them. Or if you want to cook on the same day, you need to let dry for about half an hour under a fan. Turn each one and let dry for another half an hour. 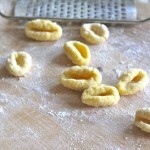 Delicious with tomato sauce and I’m sure it’s just as nice with just butter and cheese and some herbs of your liking. 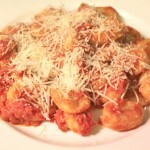 This time, I must say, the gnocchi got two thumbs up. Not just from Kevin…but also from me:) I wish I hadn’t waited 20 years to try these again. I will sure not wait another 20!! Happy Anniversary my qalbi…here’s to many many more!! Love you with all my heart! Happy 20th Anniversary! What a lovely post! We are a lovely couple. May your days be filled wi love and adventures ( we know they are) May your dreams be fulfilled, May there be just enough rain to make a beautiful rainbows and May you continue to enjoy each others laughs, tears and hopes. 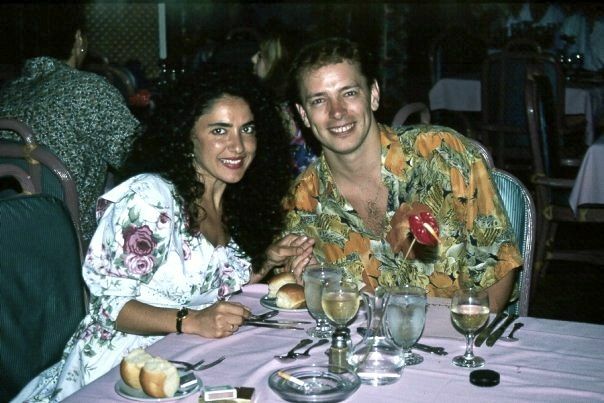 I’m so touched by all your lovely comments…yours too Kev:) Thank you for making our anniversary extra special with your love and your friendship. Love you all!! Oh this was a great one! Could just picture it all from 20 years ago – glad you found a good recipe (only 20 years later!) and I think we’ll be giving this one a try. Love you both! Those are very beautiful and do they come out pretty chewy!? The best ones I have had was the ones in Italy and I wish I can try yours you will have to make me some next time cuz that is one of my fav pasta 🙂 and you guys are a lovely couple! Perfect for each other! Ha ha…thanks Ivy. 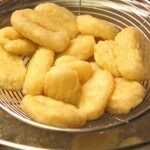 Actually they came out pretty light…not that chewy but chewy enough. 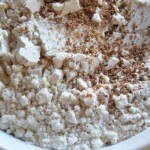 But I think to get the chewiness, you might have to add more flour maybe? Or work the dough harder?? It came a very nice texture though. I’m not a fan of mushy in any shape or form. I did freeze them before I cooked them. So I did not dry them for that hour. I think I prefer this way. Gnocchi looks amazing and your post is delightful. 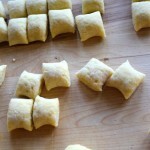 I too have a humorous in hind sight gnocchi story. Mine involves 5 lbs of potatoes rather than 5 potatoes. 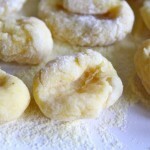 And yes fresh homemade Gnocchi does freeze very nicely. Your food photos are great. 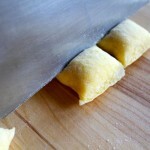 How did you photograph the rolling of the gnocchi on the grater. I have to take photos like that with my sewing and millinery projects but they never look that nice. And finally thank you for sharing that old photo of you and Kevin. We sure do miss you guys. We miss you guys too Leanne…more than I let it be known:( Know that we think of you all a lot…I know Jazz would love to see Emeline and Eliana and they are her main reason why she wants to come to England. You lovebirds are a wonderful couple. Here’s to many more than 20 more years! What a great story… and what a great blog! I’m subscribed now but didn’t even realize you had been doing this. Sad that I’ve been missing these but now I get to read a whole bunch all at once!